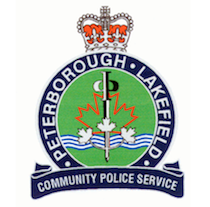 Two officers were taken to the Peterborough Regional Health Centre late Wednesday night (July 18), 2012 after they were injured while attempting to arrest two people at a Romaine Street address. At approximately 11:30 p.m. on Wednesday (July 18), 2012 police were dispatched to a Romaine Street home for a disturbance. When police arrived it was discovered that a verbal argument was taking place outside the residence between the first accused, an 18-year-old male, and one of his relatives, a 15-year-old male who police determined was intoxicated and in distress. Police attempted to address and isolate the 15-year-old year old and instructed the 18-year-old to go inside the home. The 18-year-old did not comply and after several warnings police attempted to place him under arrest for obstruct police. The 18-year-old resisted arrest, assaulting one of the officers. At that time the 18-year-old’s mother, a 39 year old woman, tried to intervene and began assaulting the other officer. Police were unable to communicate with dispatch and a neighbour was able to call 911 and request back-up. EMS arrived and the two officers were taken to PRHC where they were treated for minor injuries and released. As a result of the investigation the 18-year-old was arrested and charged with assault with intent to resist arrest and obstruct/resist a peace officer. He was released from custody and will appear in court on August 9, 2012. The 39-year-old woman was also arrested and charged with assault a peace officer and obstruct/resist arrest. She was released from custody and will appear in court on August 9, 2012. The names of the accused will not be released in order to protect the identity of the young person in this incident.